BURNDY, a leading manufacturer and provider of connector solutions to the industrial, energy, construction, telecommunication, petrochemical, data center, and transportation industries announces the release of a cable tray clamp BTCGC250 UL Listed for Grounding and Bonding. The BTCGC250 cable tray clamp easily bonds the ground conductor to the cable tray without drilling or punching holes, providing grounding continuity for the whole system. Accommodating conductor from #6 AWG through 250 kcmil, these aluminum tin plated clamps are easy to install and provide durable long lasting corrosion resistance along with high pull out strength and vibration resistance. 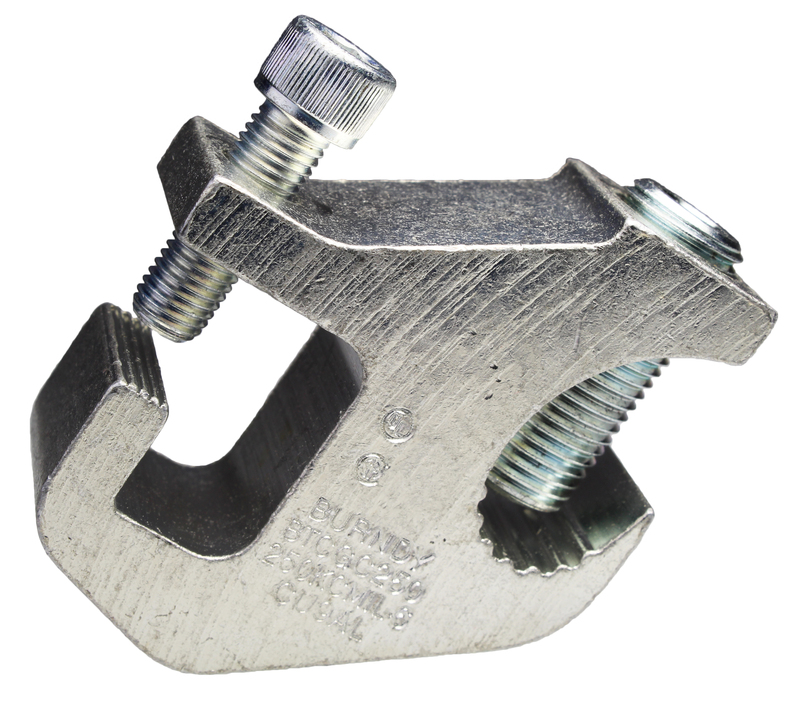 The BTCGC250 clamp accommodates the most popular styles of cable tray that utilize an outside or inside flange. Headquartered in Manchester, New Hampshire has over 90 years of dedicated customer support in both service and product. Our customers need to look no further than BURNDY for all their connector, tool, and accessory needs. BURNDY is the only manufacturer to have the BURNDY® Engineered System of coordinating dies, connectors and tools. The three elements have been specifically designed to work together and engineered to meet stringent, accepted quality standards allowing the user complete confidence in the integrity of the connection. For additional information, contact us at 47 East Industrial Park Drive, Manchester, New Hampshire 03109; call Customer Service at 1-800-346-4175; or visit our website at www.BURNDY.com. Since 2009, BURNDY LLC has been a key brand under Hubbell Incorporated. More information can be found at www.Hubbell.com.